We are on week four of Tyoma’s Japanese fascination. Last Saturday was the All Japanese YouTube Day. At 8:00 a.m. Tyoma cranked the computer volume up to “stupefy” and shouted along to his favorite songs. Downstairs, hubby ate breakfast and perused a guitar catalog. Clicking away on my laptop, I sipped tea, . After the fourth repeat of “Ya, Yi, Yu, Yo, Yeh!” hubby and I exchanged looks. Some days are special interest days. You just have to roll with it. Twenty minutes and a thousand “NOOs” later, I reduced the YouTube volume. T’s passion for Japanese, however, remained unquelled. On the bright side, his video songs were quite catchy. By Saturday night, both Egor and I could sing along. If Saturday was YouTube Day, Sunday was Kana Day. Tyoma wrote Japanese characters all day. He wrote with a rigid fanaticism I have not seen in a while. By late Sunday afternoon, he filled up a 100 page notebook with kana. 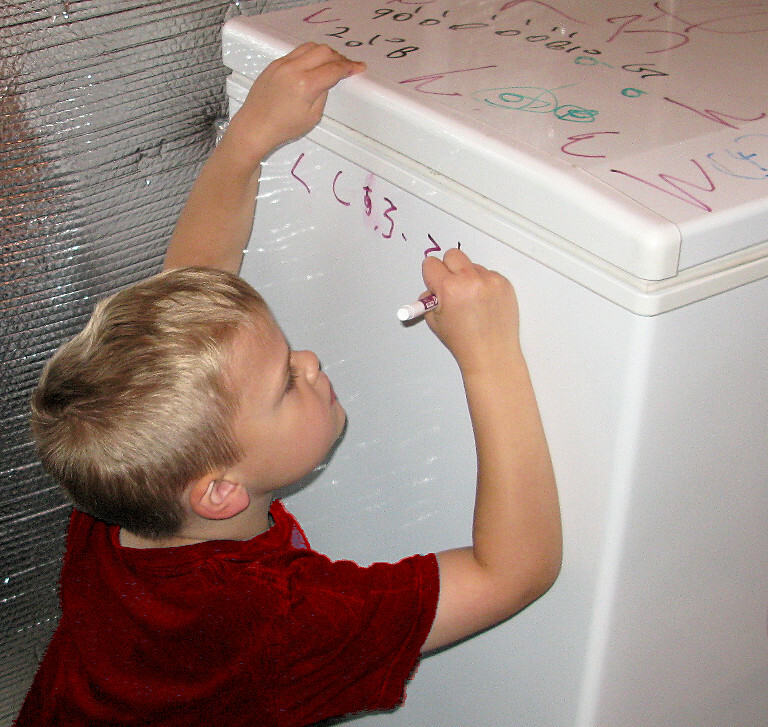 He wrote kana on the basement freezer, the downstairs refrigerator and on the bathtub walls. If I would have let him, he would have covered the remaining walls, floors, and doors with hiragana and katanana. Sunday night, previously cute Japanese songs were infinitely annoying. Monday, Tyoma mercifully ended his YouTube fixation. This is because he had memorized every song ever sung on the Genki Japan Channel. Mary-san no hi-stu-ji, hi-stu-ji, hi-stu-ji. Mary-san no hi-stu-ji, ka-wa-i-i ne? He produced the accompanying hiragana script in purple, pink and green bath crayon. Tyoma’s mania surrounding Japanese will subside. 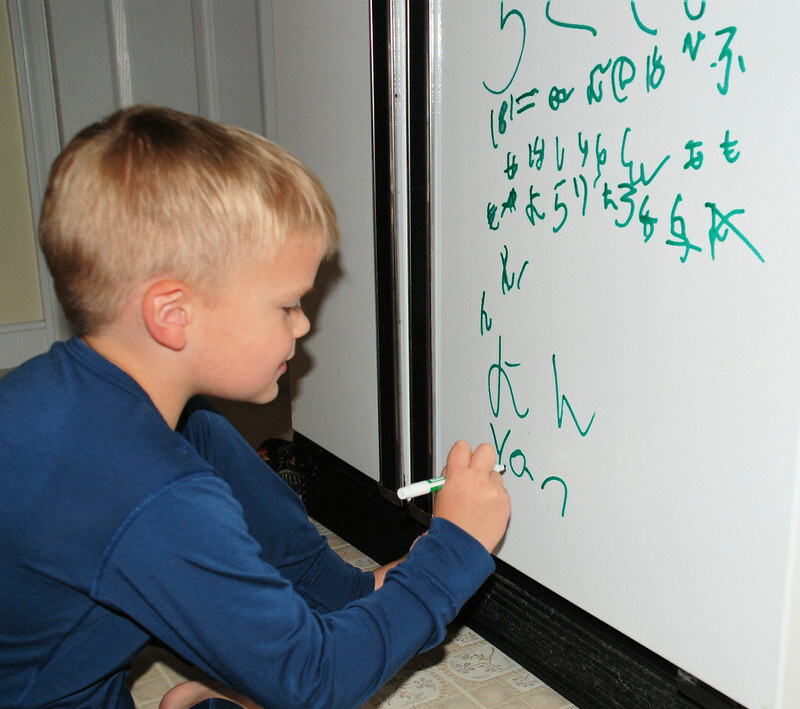 I intend to let him enjoy his special time learning Japanese. 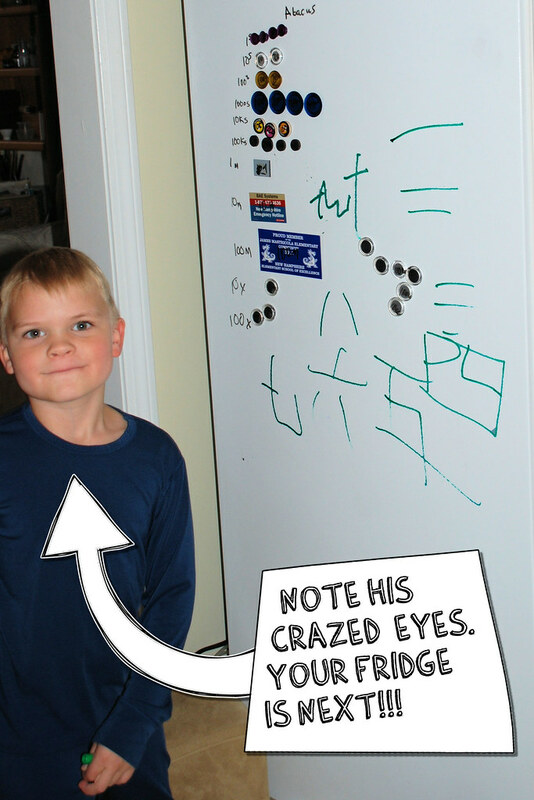 With luck, he will develop an enduring love for the languagethat that will translate into a genuine skill. Oct 15 2011 Sep 11 2013 Lori D.